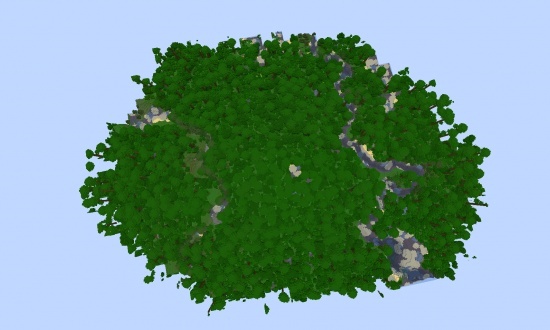 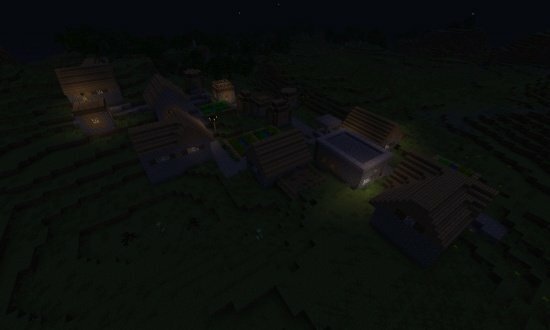 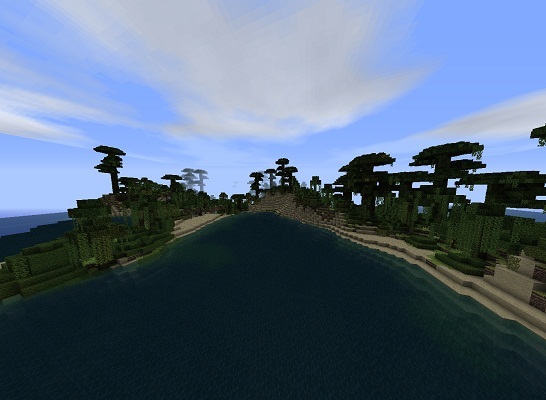 A great little seed with a village nearby, lots of cliffs, and an abandoned mineshaft connecting to a duengon! 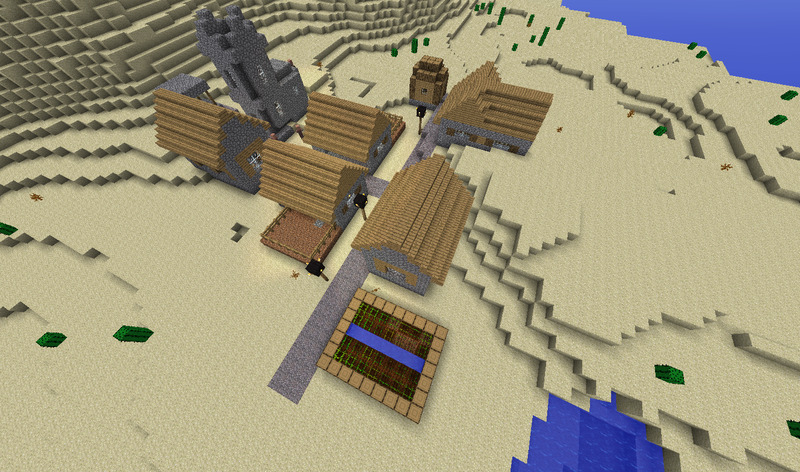 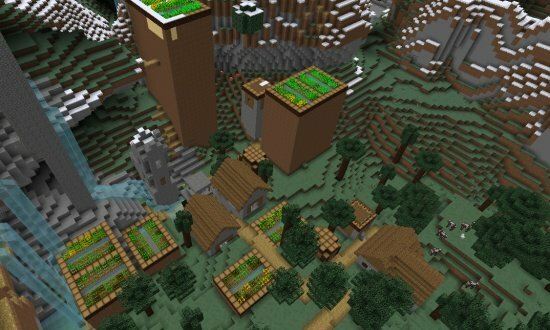 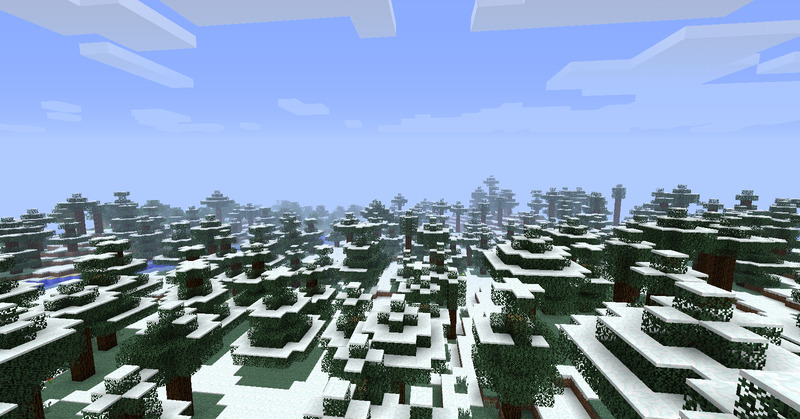 An NPC village a bit of a walk from the spawn and no smithy, but it's still a great place to vist. 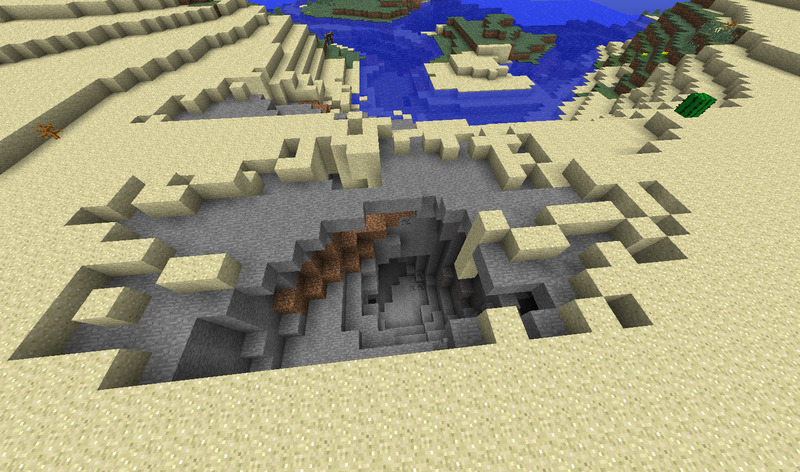 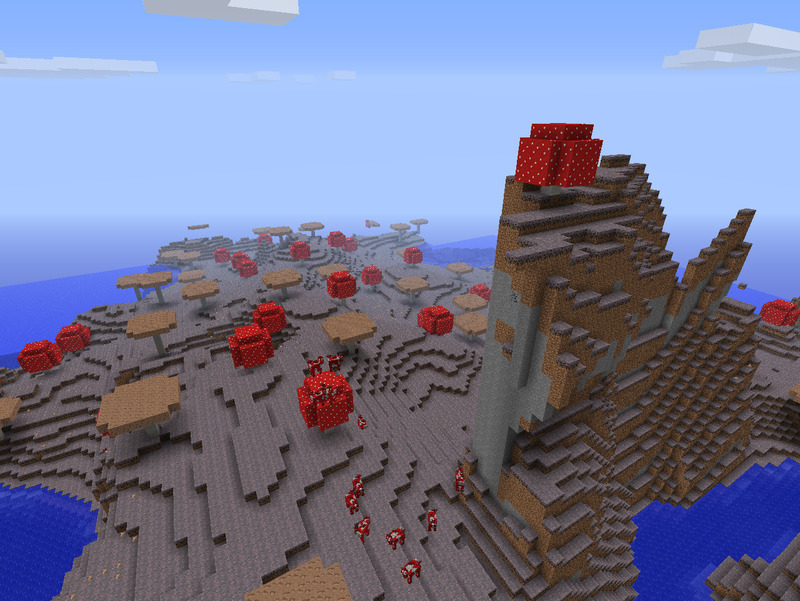 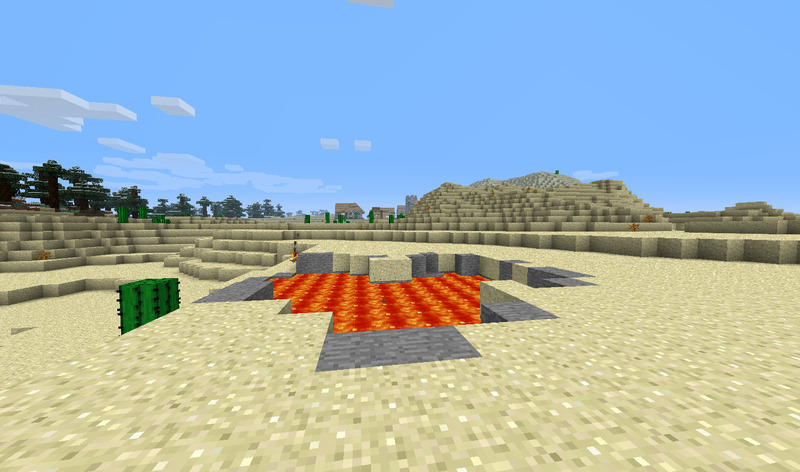 A large lava pit, great for mining obsidion. 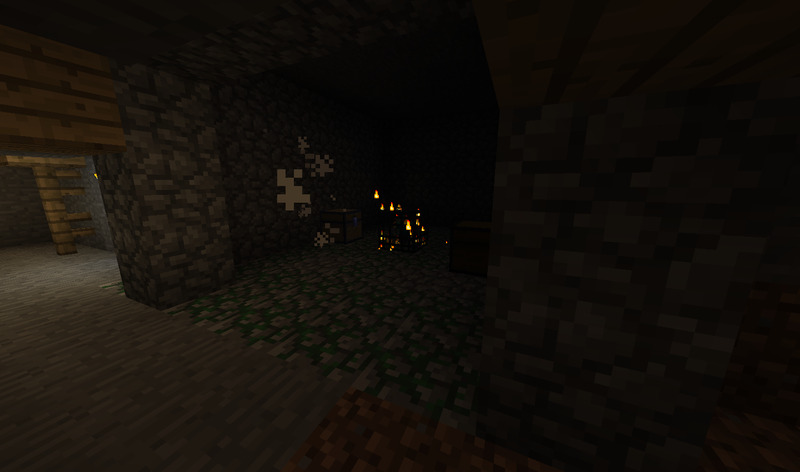 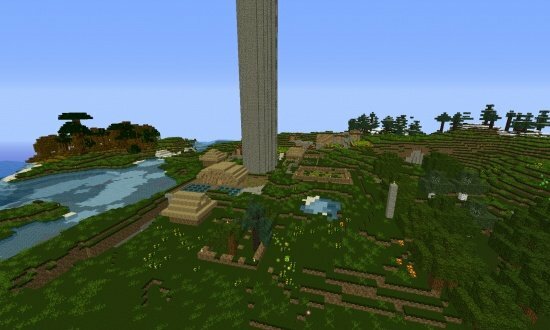 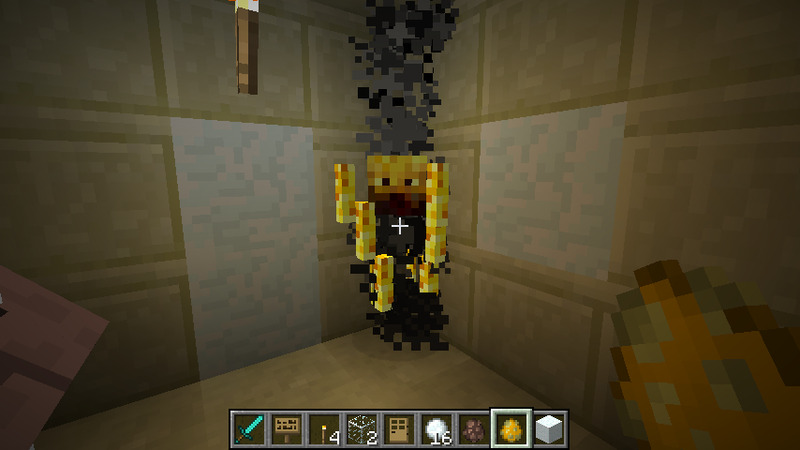 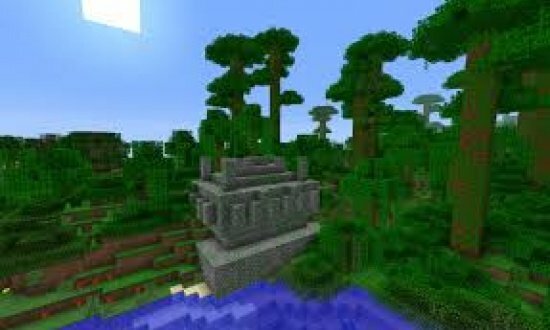 Eventually, if you diddnt't get lost in the mineshaft, you will come across a duengon!